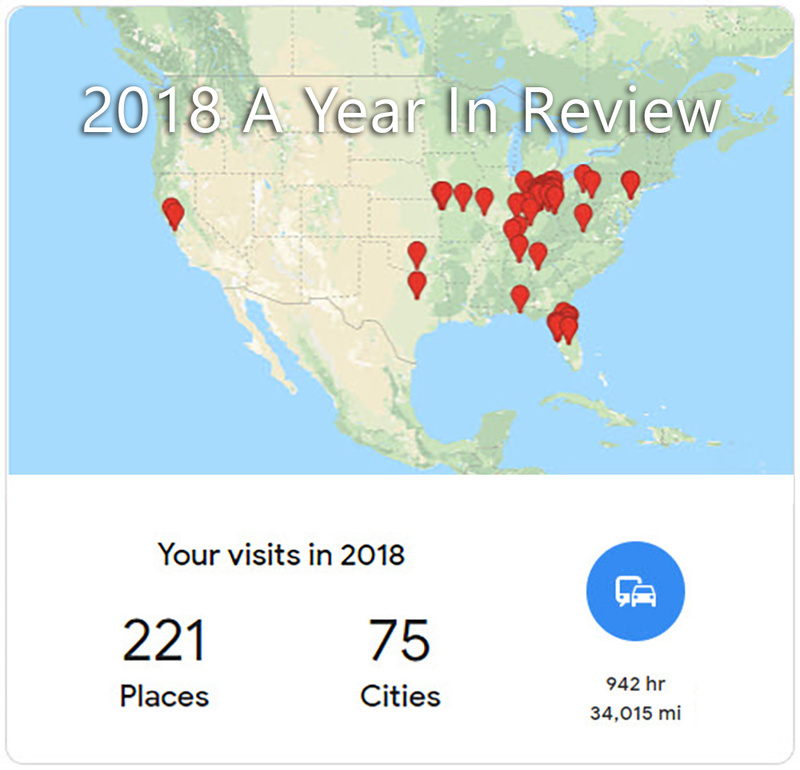 Thanks to all of you that made 2018 a spectacular year! I am looking forward to an amazing 2019! This was a another record breaking year for Joseph Danzer Photography. 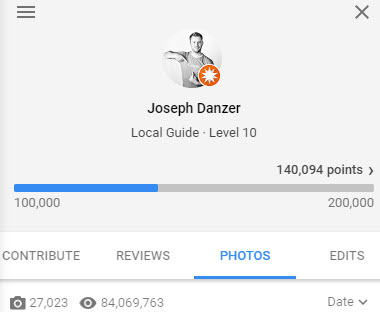 To date, I have personally added over 27,000 photos to Google Search and Maps and they have been viewed over 84,000,000 times. If there was a Level 11, I would be well on my way! Over 100 free one-on-one Google My Business training sessions with local business owners at my new office space. 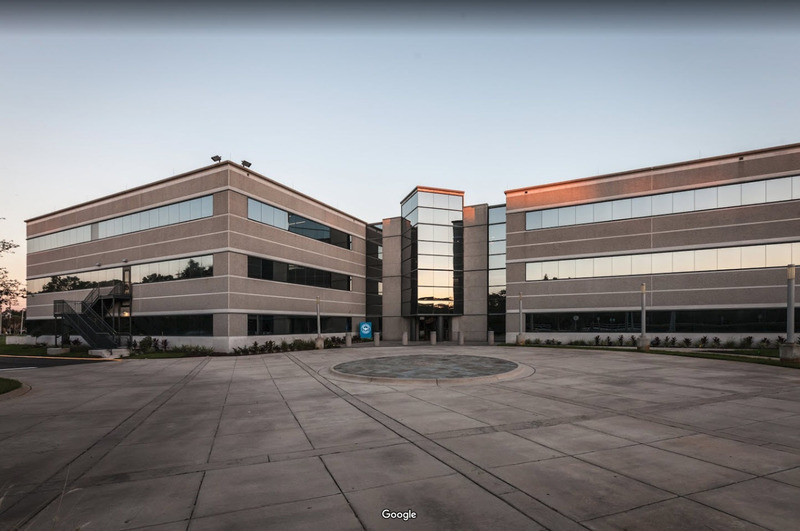 After 6 years of photographing Google Virtual Tours I can easily say that this has been one of the best decisions I ever made when it came to choosing my career. I still get excited everytime I have a virtual tour to shoot on my schedule and I am hopeful that 2019 takes me to some unique locations along the way. 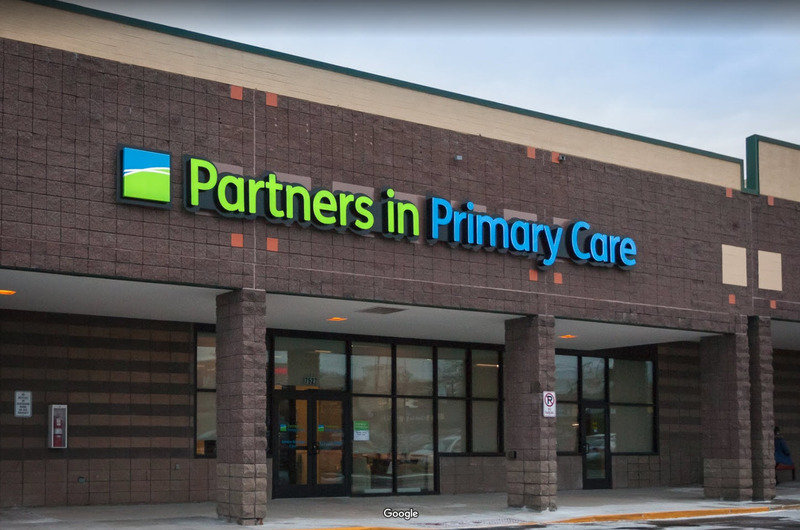 We remain committed to delivering the best experience, value, and service possible to all of the agencies that we represent. We highly appreciate all the support we've been given and continue to re-invest that into the software. We are proud to present our newest features available in Q1 of 2019. 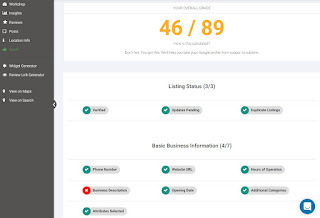 They include a Google My Business Listing tool that grades the effectiveness of a client's listing, a review widget, and a complete overhaul of the agency dashboard. With the addition of so many features to the software that do so much more than just evaluate the analytical impact of the Google listings, we are renaming it from the AOI Analytics Tool to simply AOI Software. Get ready, because 2019 is going to be a great year! 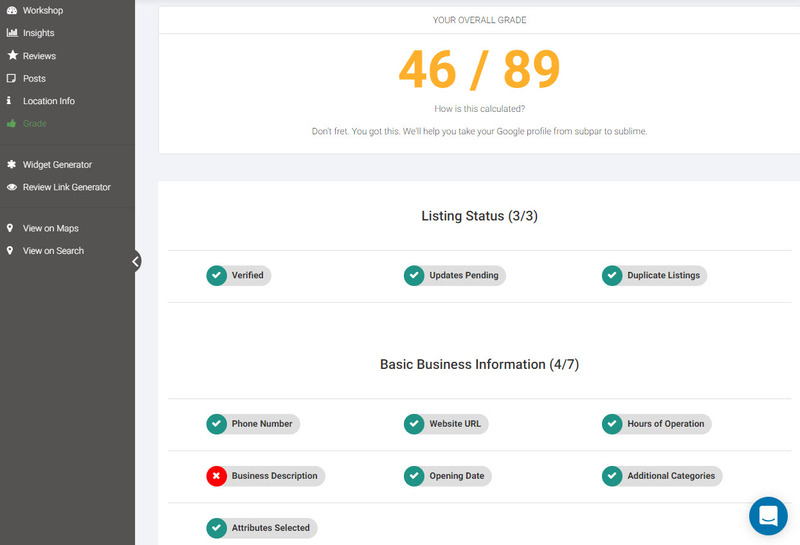 We have codenamed our newest business offering Acquire360. We are continuing to evaluate a new 360 camera that can create Google Street View imagery and we should be live with the new service offering in the first quarter of 2019. 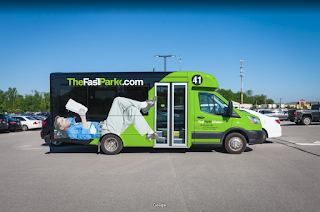 This has been an exciting new endeavor for our company and we are preparing to get out there and start adding new roads and areas that need updated on Google Street View. I would not have been able to accomplish nearly the amount of the goals I set for 2018 had it not been for a few select people that really stepped up to help me out this past year. Rusty Allison has been working closely with me for the past 3 years. This year he created his own company, Guideport Solutions, and started helping local businesses with their Google My Business Listings. Rusty also played an integral part in creating the training programs and workshops that we hosted this year. He is the kind of guy that always shows up when he says he will be there and always goes above and beyond for each and every task he takes on. I am honored to call Rusty a friend and coworker. Tyler Honschopp is the newest addition to our team. He has been very busy testing out our new camera system for collecting Google Street View Imagery. He is highly driven and has been a one man research/development team for our new service offering. His resourcefulness and problem solving abilities are a great asset to have as we move forward into 2019. Evan Oder has been a great friend and business partner over the past two and a half years. He is the mastermind behind our software, Advanced Online Insights. It's rare that you meet someone and it feels like you've known each other for years. Evan is just that kind of guy. I look forward to all that I will learn from him over the next year and I am thrilled to see all of the new features that we add to the software package in 2019. 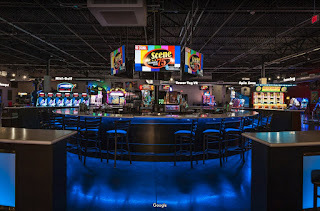 I started off the year with a trip through the heartland of America that featured shooting some Google Virtual Tours in Kansas City KS and San Antonio TX. Our first major update to the software began at the end of December 2017 and we started off 2018 with an entirely new version of the Advanced Online Insights Analytics software. Once the software was out of beta and ready for primetime our plan was to reach out to marketing agencies that we had enjoyed working with over the past 6 years and give them an opportunity to evaluate the software to see if it was a good fit them and their clients. We started our first round of formal Google My Business training sessions and began training marketing agencies on the reporting features of the Advanced Online Insights software. Our goal for 2018 was to bring on 10 good marketing agencies to work with over the year to grow our business and theirs at a rate that was sustainable and profitable. I had the opportunity to meet a wonderful new local business owner, Holly Young, who started a new retail business in Montgomery Ohio specifically geared towards products and toys for autistic children. Puzzle Pieces, A Sensory Sensation fills a niche that was not being serviced anywhere in the country. E-commerce has changed the way that most of us shop and evaluate products. 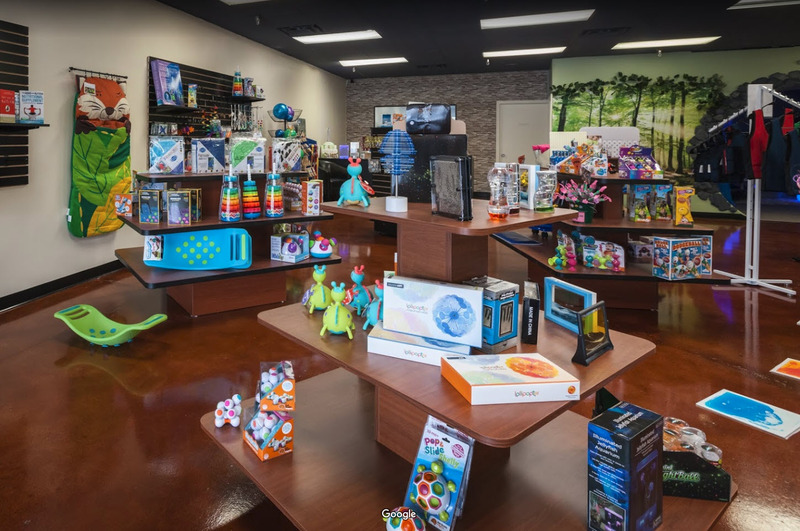 If there was ever a store that you needed to see, touch, and feel the items before you purchase them, then Puzzle Pieces is that store. I had the pleasure of creating a virtual tour for Holly and you can see her amazing store in the link below. 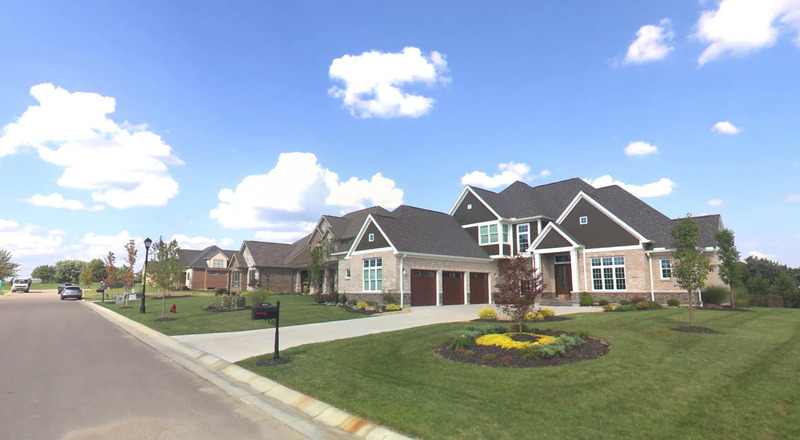 Another notable virtual tour in March was Hillandale Properties: Doverwood. What would it look like if you took a city and built it inside of a building? Well click the link below to find out. 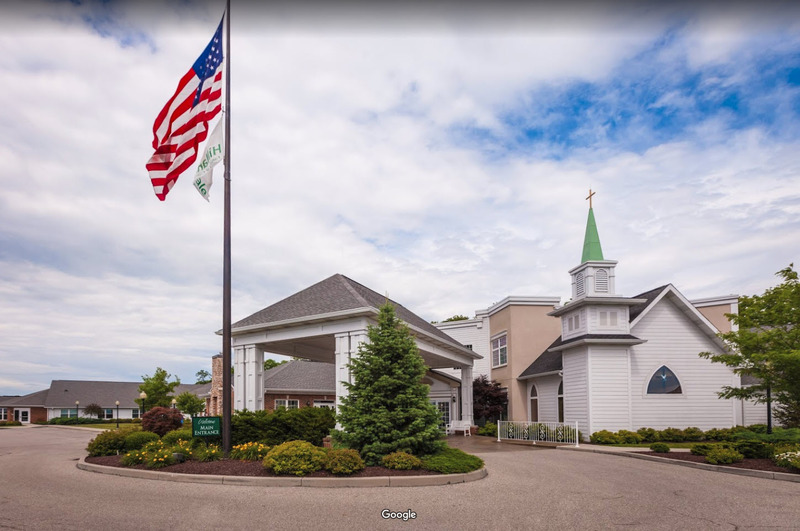 Doverwood is a wonderful retirement center that allows its residents to experience everyday life without having to leave the comforts of their home. They have a theater, an ice cream parlor, a beauty salon, a chapel, and even a "Big Happy Pub", all located in their facility in Hamilton Ohio. All of our training sessions in March filled up as soon as they went online. We re-evaluated our plan to bring on 10 marketing agencies by the end of 2018 and updated our plan to have this milestone complete by June of 2018. Have you ever wanted to know what it takes to be a Google Trusted Virtual Tour Photographer? 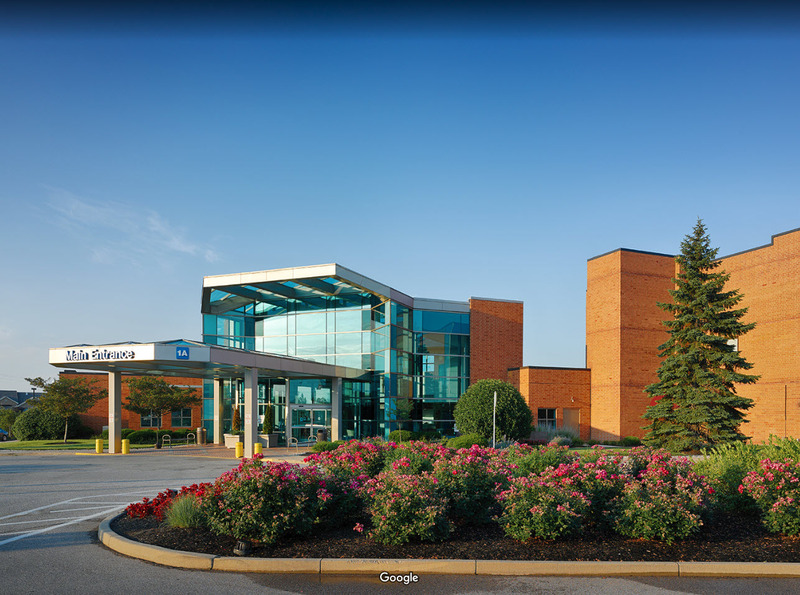 In April of 2018 I shot a tour of the first of three St. Elizabeth Healthcare Centers in Florence KY. I started shooting around 7pm in the evening and finished just before the sun rose the following day. I have to give a huge shout out to Katie Dillenburg, Web Content Specialist for St. Elizabeth, for making it through the entire evening and then coming back again in May for two more shoots at two of their other facilities. People like Katie make my job so much easier when they have made the proper preparations at a facility and make sure that the job gets done right! Thanks again Katie! We had our third round of training sessions and once again filled all of our classes. At this point I was elated that we were only two agencies away from reaching our goal. In May of 2018 I attended the Annual Google Street View Conference in San Francisco CA. This is my 4th year in attendance and it is always a huge honor to just be invited. I always learn so much about the future of Google Street View and Google Business Virtual Tours directly from the source. It is also a great time to meet industry experts and professionals that provide many similar services to what I do on a daily basis. I have even made some great friends along the way. Shout out to Pablo Zimbrón who roomed with me this year at the conference. His company, Xuguz, with offices in Monterrey Mexico and San Antonio TX, became a certified Advanced Online Insights agency this year. This gave our company the proud honor of saying that we are now a business with multi-national clients. In 2017 I was pleased to get the opportunity to shoot a Google Virtual Tour for the Cincinnati Airport, CVG. 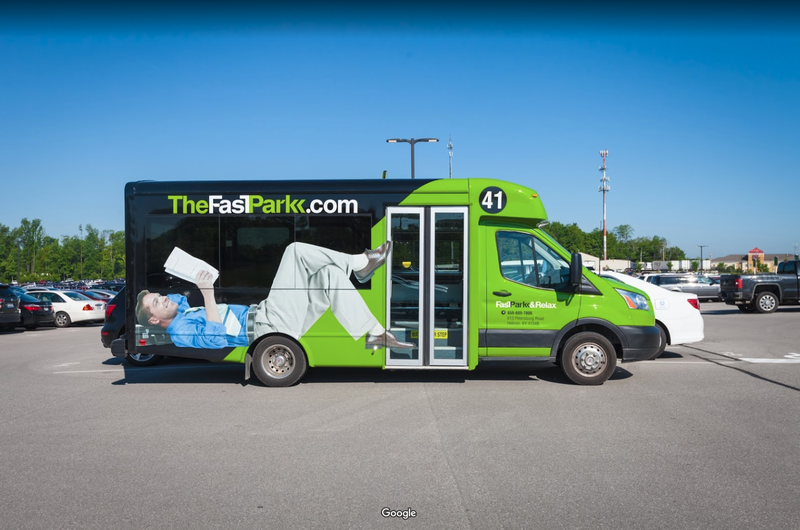 This year I shot the long term parking area managed by Fast Park and Relax. I was especially impressed with their new transport vehicles and even took the tour inside of one of them to show it off. 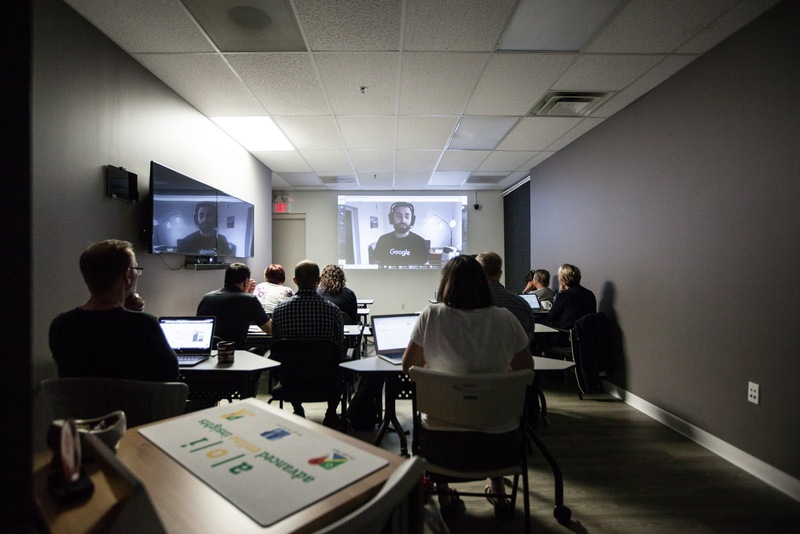 In June we held our last round of software trainings and signed on our final 2 agencies to meet our goal of 10 active agencies in 2018. It was a long journey but I know that we have a strong group of agencies partnering with us. 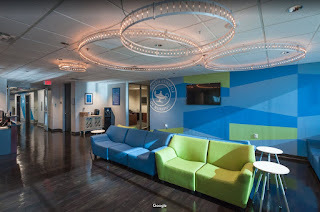 Behold a virtual tour like no other we have shot before! In July of 2018 we took ownership of a new camera that we have been waiting for a few years to get our hands on. This new camera system will allow us to create Google Street View imagery and add it to Google Maps just like Google's Street View vehicles provide. We knew that there was going to be a testing phase and some software development in store but we were able to get our first collect live on Google Maps. Check out the small subdivision Street View link below to see for yourself. August 16th 2018 marked the anniversary date of our first full year of business as Advanced Online Insights. We had a get together with our agency partners here at the office to celebrate the anniversary. During the event we announced our newest features for the software, Google My Business Post and Review management tools. This took our software from a advanced analytics reporting platform to a full featured software tool. Our agencies had the opportunity to meet our developer Evan during our special anniversary event. I like a good challenge. 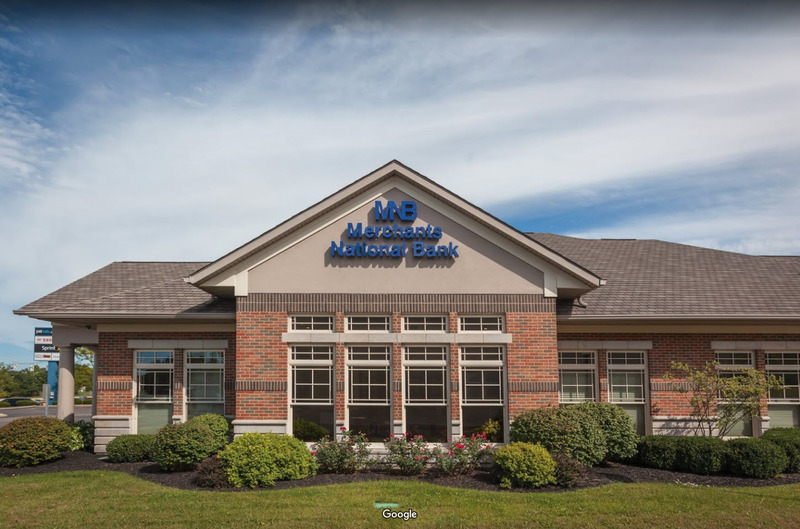 In September, I was given the opportunity to create virtual tours for Merchants National Bank's 11 locations located throughout Ohio. I prefer to shoot businesses when they are closed to the public so that there are not any people in the virtual tours. This left us with the only day of the week that made sense for the shoot to be on a Sunday. I also didn't want to string the shoot dates out over several Sundays and miss out on weekend family time. 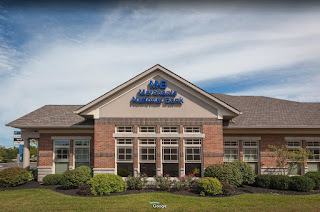 With the help of the great team at Merchants National Bank, I was able to shoot all of the locations in a single day and still get home in time for dinner. I spent a little time in Philadelphia PA visiting family and attending my favorite event of the year, The Philadelphia Film Festival. 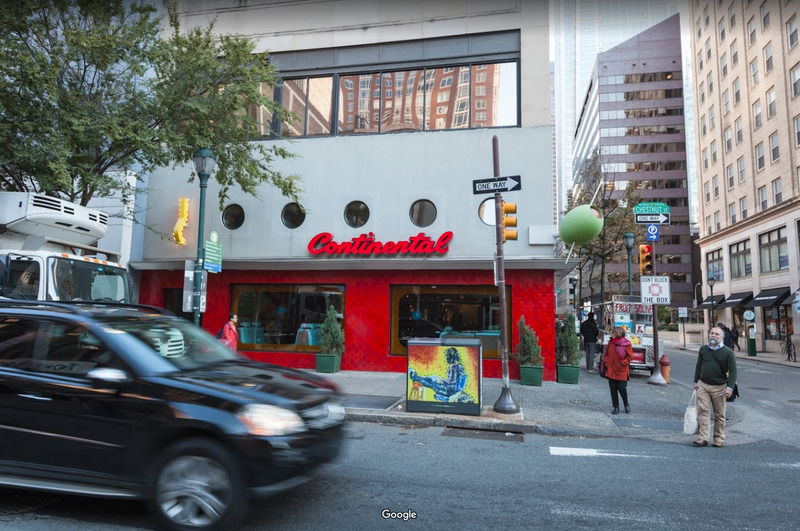 During my trip I had the opportunity to create a virtual tour for The Continental Mid-town, a Stephen Starr Restaurant. As you would expect the restaurant was beautifully designed and the ambiance was fantastic. I hope to have the opportunity in the future to create virtual tours of many more of Stephen's unique restaurants. By this time of year Cincinnati is usually a mix of different weather conditions that do not fair well for photographing local virtual tours. Lucky for me Galen College of Nursing opened a new campus in Tampa FL and I was able to spend a few days in the Florida sun capturing a tour for their new facility. During my time as an educator and Google City Ambassador for the Google My Business Program I have a chance to help thousands of business owners set up their listings and solve various technical issues along the way. In November I had my chance to deal with my first issue for a local high school that made its rounds on all of the local news stations. I am in the process of finishing up the case study regarding this issue and I will share it with everyone once it is proofed and ready. We all know that it is highly important to claim your Google My Business Listing but this is about the worst thing that can happen if you neglect to do so. Luckily the communications director at the local high school had attended one of my events a few years ago and still had my business card available. 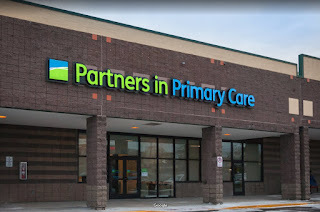 With the help of the Google My Business support team I was able to get the listing fixed the same day that the issue occurred. 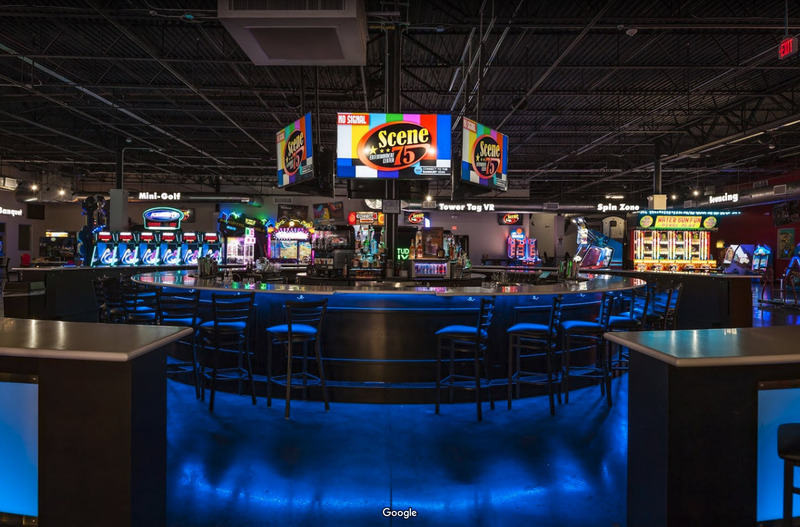 I ended my year with my last virtual tour shoot in Pittsburgh PA at the newest Scene75 Entertainment Center. It is always fun to shoot multiple business locations for companies over the years to see how they modify their facility designs.